How Do Cloud Collaboration Platforms Handle Backup? Because they understand the importance of backup in the digital age, cloud collaboration platforms arm organizations that migrate with a wide range of backup features and tools to help protect their data. While some businesses who rely on servers will use a cloud platform as a pseudo-backup solution, many more are choosing to move to the cloud entirely, recognizing the dynamic combination of security and collaboration features that these solutions provide. OneDrive/SharePoint Online Files can be marked for deletion or for a move to a different drive. Retention periods for all files can be designated by admins. Users have access to the last 100 versions of any file. Deleted files/sites can be restored from Recycling Bin. OneDrive’s File Restore also allows users to restore their files to any point in the the last 30 days, if they suspect those files have been compormised. All new edits and updates are synced in real-time when connected to the web. Basic GDPR compliance settings are the default in admin settings, though they can be amended. The provider offers additional information about compliance that admins and users can use to make retention and storage choices. Lists 99.99% reliability with regards to resilience and redundancy. Multi-geo redundancy protocols. Dropbox Files are retained indefinitely unless marked for scheduled deletion. Users have access to an unlimited amount of versions of a file for 120 days. Once a version has existed for 120 days, it is deleted. Deleted files can be restored within 120 days of deletion–unless it was designated for deletion permanently. All new edits and updates are synced in real-time when connected to the web–except those documents that have been scheduled for deletion down the line. Basic GDPR compliance settings are the default in admin settings, though they can be amended. The provider offers additional information about compliance that admins and users can use to make retention and storage choices. Dropbox stores data on multiple server locations spread around the world. Box Retention timelines can be set for each different piece of content, and blanket retention timelines can be selected based on document “type”–such as the defensible discovery feature for legal documents. Users have access to up to 50 versions of a file. Items deleted are sent to “Trash,” which is purged every 30 days. Files in trash can be restored. All new edits and updates are synced in real-time when connected to the web. Basic GDPR compliance settings are the default in admin settings, though they can be amended. The provider offers additional information about compliance that admins and users can use to make retention and storage choices. Advertises 99.9% SLA for redundancy, data stored in multiple data centers. Google Drive Retention timelines can be designated by admins. A file that exists in both a Personal drive and a Team drive can be deleted from the former but retained in the latter per the admin of the Team drive’s decision. Egnyte Files are preserved indefinitely unless deleted. Files can be locked so that other users cannot delete them. By default, users have access to 3 previous versions of a file, though admins can raise the number and do so on a file by file basis. Items deleted are sent to “Trash,” which is purged every 30 days. Files in trash can be restored. Admins can adjust this so that files remain in trash for up to 180 days. All new edits and updates are synced in real-time when connected to the web. Admins can schedule regular syncs of all data (whether or not it’s been edited) to ensure preservation Basic GDPR compliance settings are the default in admin settings, though they can be amended. The provider offers additional information about compliance that admins and users can use to make retention and storage choices. Lowest redundancy of the group, however still a significant amount of content replication across multiple locations. Guarantees 99.9% system availability for each calendar month. 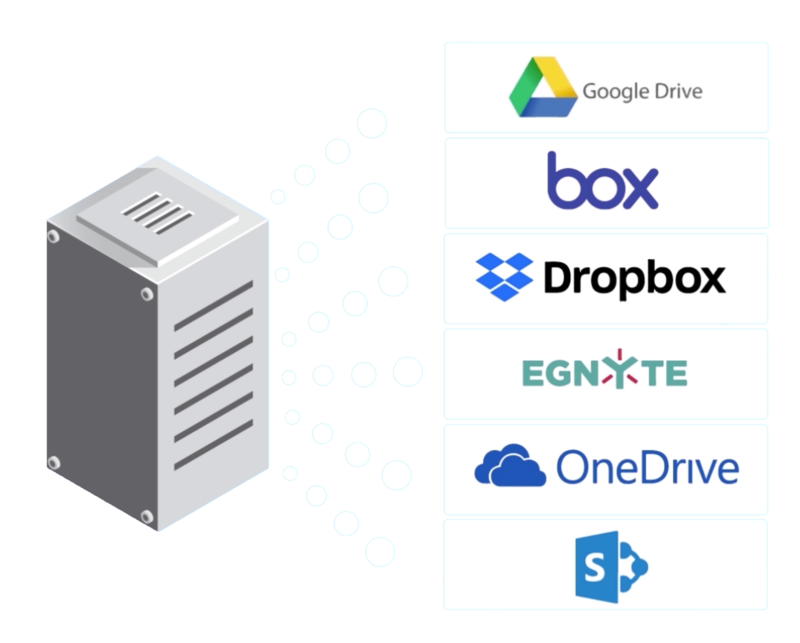 These features make the cloud an ideal storage solution for organizations who are looking for comprehensive backup and storage tools. Based on your needs, each of these solutions can provide a range of functions, and no matter what you’re looking for it’s likely you’ll find it in the cloud. Providing secure, off-site backup options, the cloud is becoming one of the premiere tools for file preservation. If you’re asking about backup, the cloud just might offer you an answer.